With active shooter and mass casualty events on the rise in the U.S., Texas Tech University Health Sciences Center El Paso (TTUHSC El Paso) offered a bleeding control course for local health professionals and the general public on Friday, Dec. 2. Uncontrolled bleeding, whether brought on by a gunshot wound or another disaster, can prove fatal within minutes. The Bleeding Control for the Injured (B-Con) course hosted by TTUHSC El Paso taught bystanders how to react quickly to these injuries and keep victims alive by applying pressure and a tourniquet to a wound. The B-Con course coincides with a White House initiative called “Stop the Bleed,” which was created in response to an increase in active shooter events in the U.S. The incidence rate has tripled since 2008, and 91 mass casualty events have occurred since the 1999 Columbine massacre, according to the campaign. 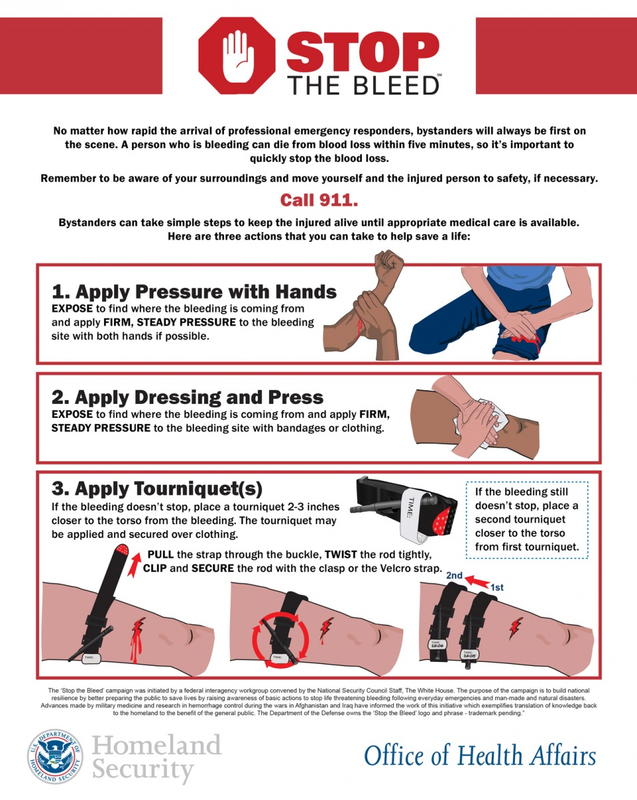 In addition to educating bystanders on how to save lives after these deadly events, the campaign aims to increase public access to bleeding control kits. In a show of support for this lifesaving national movement, TTUHSC El Paso has plans to purchase and install tourniquets within all of the automated external defibrillator (AED) cabinets on campus. The Department of Safety Services will also soon begin offering tourniquet training for each department’s unit safety officer in conjunction with future CPR instruction sessions. The B-Con class was offered as part of the 17th Annual Rio Grande Trauma Conference and Pediatric Update.